OPEN HOUSE: SATURDAY, APRIL 20H 12PM-2PM. Located in the Award-Winning Emmens Preserve, this stunning 2800 sq ft "Sullivan residence is MOVE-IN-READY and FURNISHED. 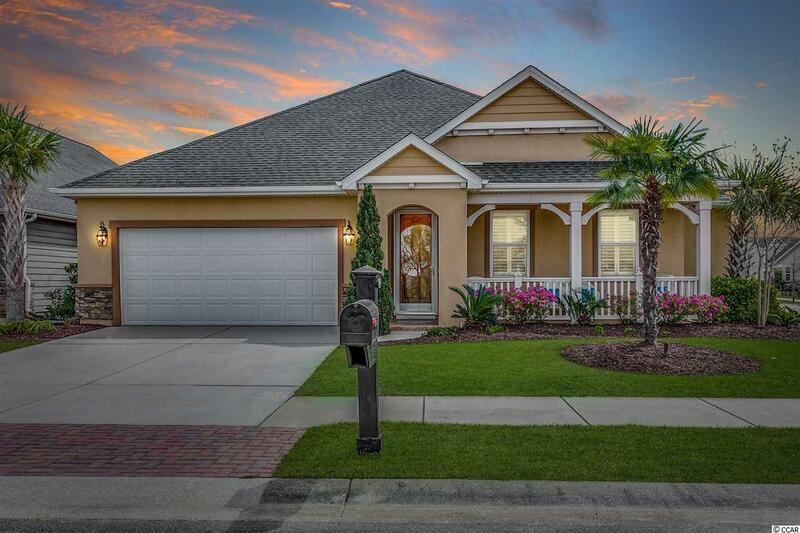 Set on a professionally landscaped corner lot with panoramic views of Dolittle Lake, the 5-bedroom 3.5-bath home boasts quality craftsmanship, fine designer finishes, and an impressive outdoor living space. A lovely covered porch with intricate tile floor welcomes you into the home. A Formal Dining off the foyer is complete with HARDWOOD floors, wainscoting, plantation shutters, and tray ceiling with crown molding. An Open Kitchen with Great Room provide a brilliant space to dine while entertaining family and friends. The kitchen features GRANITE counters, island with bar seating, STAINLESS appliances, tile backsplash, and huge walk-in pantry. The Great Room features an 11-ft high vaulted ceiling adorned with beautiful wood beams, a fantastic space to enjoy conversation or the warmth of the Gas Fireplace. Two sets of French doors lead to a fantastic central heated/cooled glass enclosed LANAI, perfect for watching the game. The FIRST FLOOR MASTER suite has his/hers walk-in closets, double vanities in the bathroom, and walk-in tiled shower with additional soaking tub. 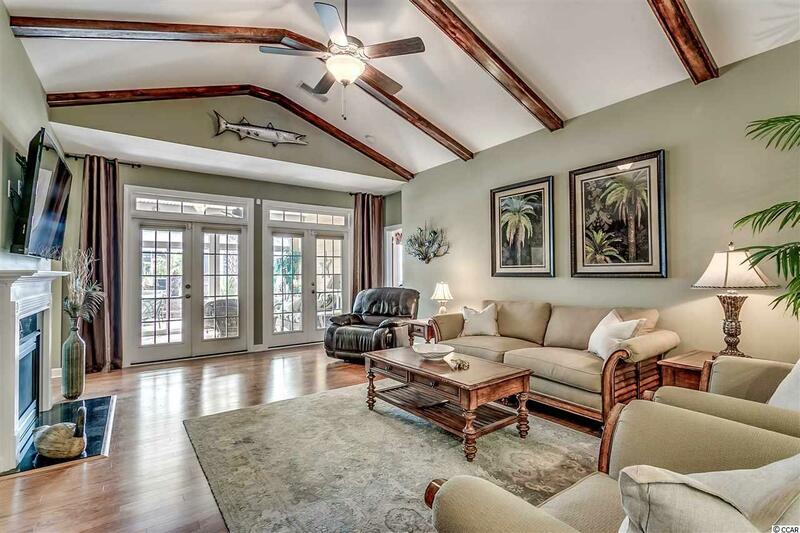 Three additional bedrooms offer wainscoting, large closets, plantation shutters, and ceiling fans. Completing the first floor is a second full bath, powder room, and laundry room with cabinetry, tile floor, and refrigerator. Upstairs is an oversized bonus bedroom with full bath. Enjoy the convenience of a second kitchen in the garage with full cabinetry, sink, and appliances. The floor is epoxy sealed with plenty of room for a golf cart to get to the beach like a local. Other features include tankless hot water, whole house water filtration, security system, and irrigation. Attractive wrought iron FENCING secures the backyard space featuring an amazing HARDSCAPE PATIO with built-in waterfall feature, gas grill area with convenient hook-up, and fire pit with seating. 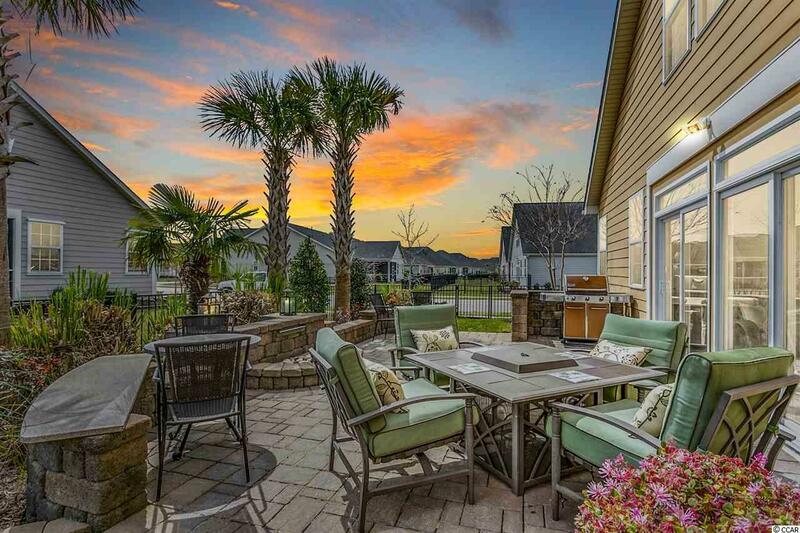 Located in Myrtle Beachs Market Common area, Emmens Preserve features a resort style pool, workout facility, clubhouse, and 29 acres of trails, parks, and lakes. Resident amenities include outdoor kitchens, fire pits, putting green, bocce ball court, dog park, fishing pavilions, and tranquil lake views. Market Common is an energetic urban village, full of fine shopping and dining options, a movie theater, and many outdoor events like the farmers market or fashion show. Make this beauty yours today!